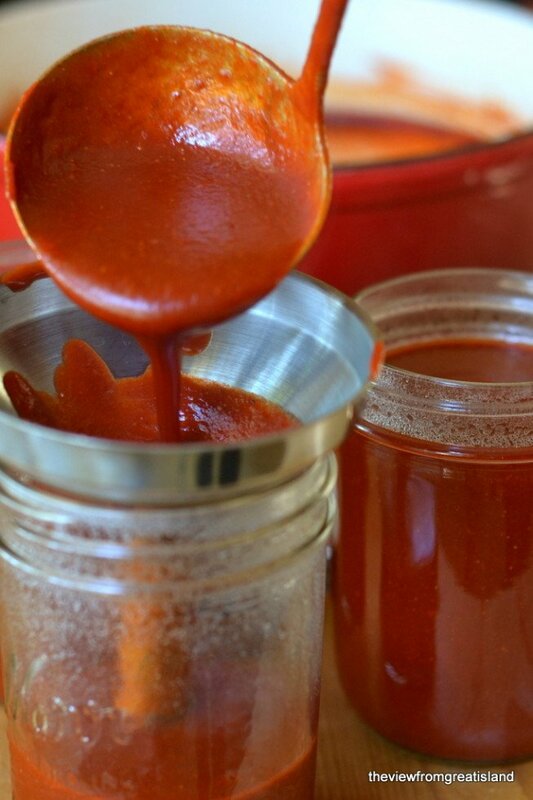 Authentic Red Chile Sauce made entirely from scratch is a thing of beauty — you can’t get anything like this out of a can! I’ve been cooking and sharing from Meagan Micozzi’s cookbook The New Southwest for a couple of weeks now, and today marks my last post in the series. Sad, I know, but when you get to the bottom of the post you can enter to win a free copy of the book and continue exploring it on your own. For this last recipe I chose something I’ve wanted to tackle for a while now, and thankfully Meagan’s book gave me the perfect excuse. 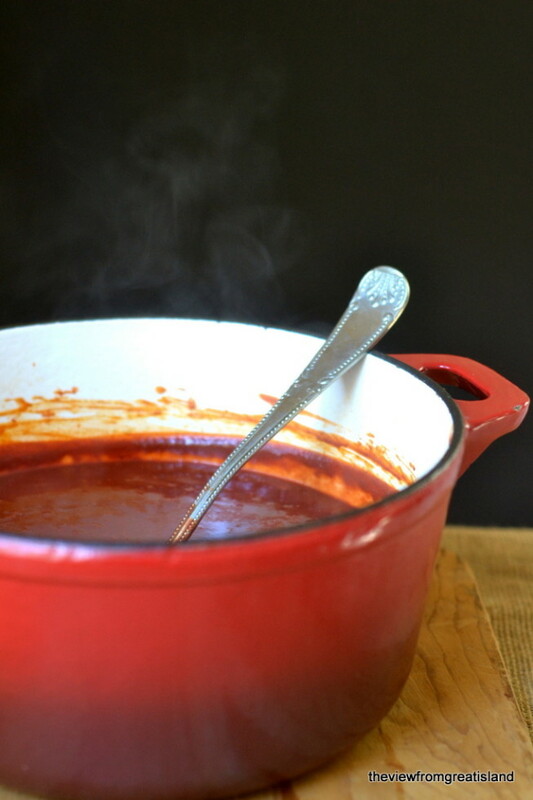 Red Chile Sauce is the very life-blood of Southwestern cooking; you can’t really pretend to know the cuisine until you’ve made this staple sauce from scratch. The process that transforms dry leathery peppers into a smooth rich sauce is multi-stepped, but simple, and so satisfying. 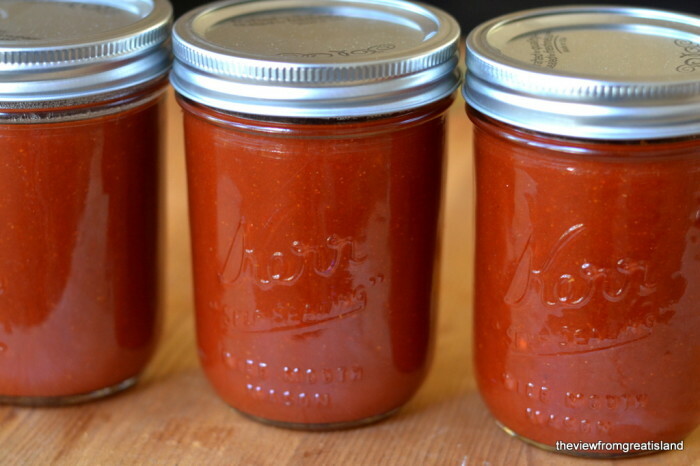 In the end you’re left with an authentic sauce that is itself the starting point for an endless list of traditional dishes, like enchiladas, tamales, chili, huevos rancheros… I’m looking forward to having a few jars in the freezer this winter. Meagan calls for New Mexican or California dried chilies in the recipe. If you can’t find them in your grocery store, be sure to ask, they often stash them in out of the way spots. You can always buy them online, too. They keep forever, so I suggest stocking up for future sauce making. I used the California chiles, which are a little less hot than the New Mexico variety. My sauce had a perfect hint of heat, not overwhelming at all. The additional flavors in this sauce, like the recipe itself, are simple. 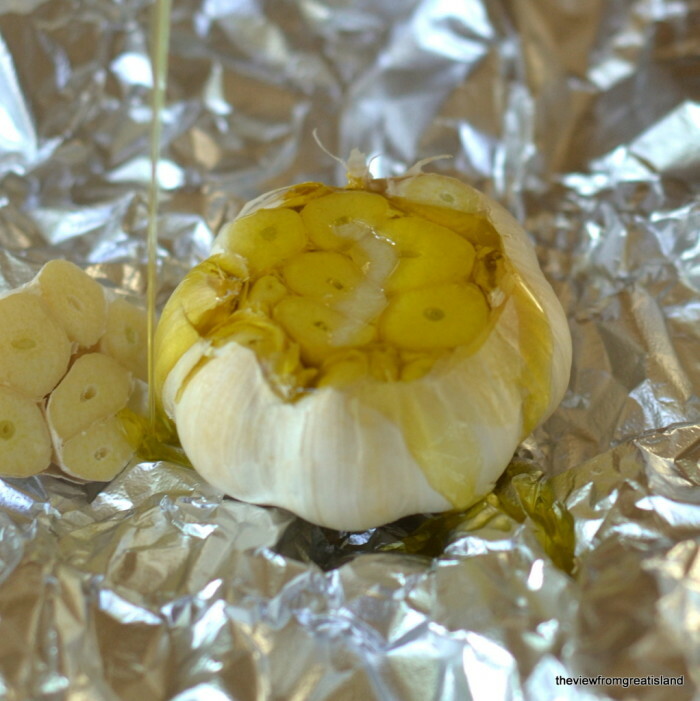 Roasted garlic, a few classic Southwestern herbs like cumin, coriander and oregano, and some salt. I added my own kick with a touch of sherry vinegar at the very end to satisfy my taste for a little tang in my sauce. I think it brought it to life. I’ve really enjoyed cooking from The New Southwest these past few weeks. In this vibrant collection of recipes Meagan celebrates the culinary melting pot of “Native American, Mexican, Tex-Mex, and classic Americana”, a cuisine which she says is one of the most varied and inclusive she’s ever known. She takes it on from the fresh perspective of an outsider, and, while respecting it, gives it playful nudges with recipes like Peanut Butter and Jelly Empanadas, Coffee Rubbed Lamb Chops, and Caramel Soaked Mexican Pancakes. But there are plenty of classics in the collection, too, like my chile sauce, so you definitely get a dose of tradition along with the playfulness. I think one of the qualities that sets The New Southwest apart is that it’s approachable on so many levels, from the recipes, to the photos, and even Meagan’s cheerful writing style. I don’t feel like I’m being ‘taught’, as much as I’m being included in an exciting journey. None of the recipes are complex, and for me that is key. When I leaf through a cookbook with elaborate recipes, no matter how fabulous they look, my eyes glaze over…this one makes me want to dive right in. I highly recommend the book, I’ll bet you don’t have anything like it on your shelf! Put the chile pods in a large heavy bottomed stockpot. Heat the pot over a medium flame and stir the chiles until they start to toast and release their aroma. This will take about 2-4 minutes, but watch carefully, they burn easily. Stir continuously. Fill the pot with water, and bring to a boil. Stir occasionally so all the chiles get submerged, and cook for about 15-20 minutes. Remove the chilies, but reserve 5 cups of the cooking water. Working in 2 batches, puree the chiles along with the garlic cloves. Run the machine until the chiles are ground down to a smooth, thick paste, and stop to scrape down the sides of the machine if necessary. Process in the reserved liquid and run until smooth. Again, you will need to do this in batches so your machine doesn't overflow. Strain the sauce through mesh sieve into a clean bowl. Be sure to push the sauce through with the back of a spoon to get all the liquid through. Discard the solids. Set the same pan over medium heat add 5 tablespoons of oil, and then add the flour, stirring until it forms a paste. Add in the spices, and stir continuously until smooth. Whisk in the chile mixture, and bring to a boil. Cook for about 5 minutes until the sauce is thickened and coats the back of a spoon. 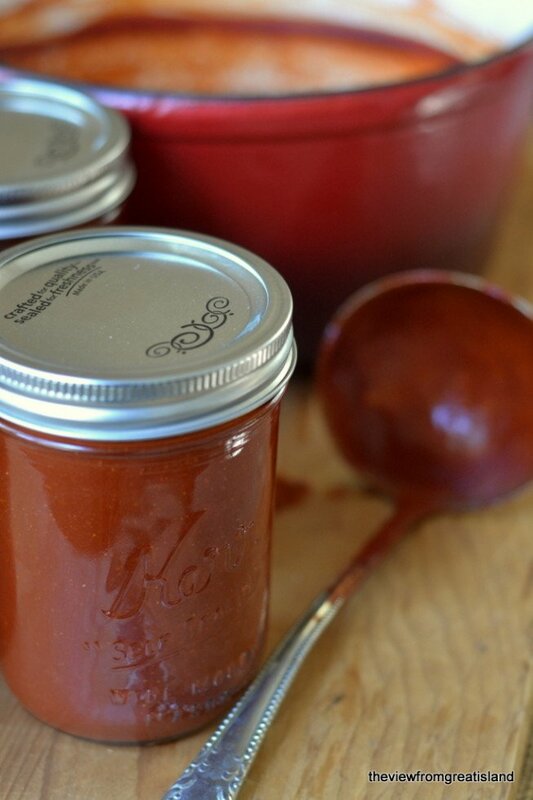 Cool the sauce and then store in tightly closed containers in the refrigerator. Now for some fun news — I’m excited to tell you that Hippocrene Books is giving away free copies to 14 lucky readers! Just leave a comment at the end of this post, and follow the instructions below for more ways to enter. Are you feeling lucky? I hope so! Enter to win a copy of The New Southwest! 1. Mandatory Entry: Leave a comment on this blog post letting me know what your favorite Southwestern dish is. 2. Tons of optional entries in rafflecopter widget. 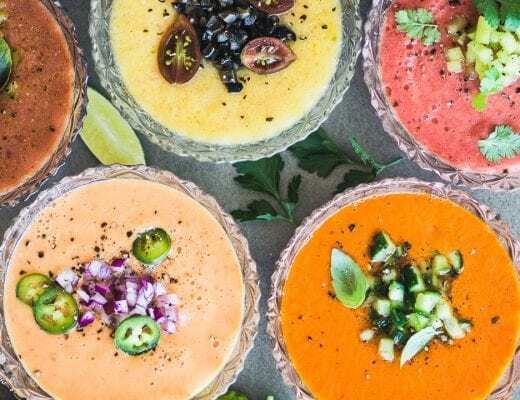 Hippocrene will be supplying 14 copies of The New Southwest by Meagan Micozzi for this giveaway, in conjunction with The New Southwest Cookbook Spotlight. Contest is open to anybody with a shipping address in the USA. Submissions will be accepted via the rafflecopter widget through 11:59 pm ET on Sunday, November 3, 2013. Fourteen winners will be chosen by random draw, verified, and be notified by email (from Heather at girlichef) within 48 hours of the close of this contest. The winner should respond within 24 hours of notification, or a new winner will be drawn in their place. Good Luck! I was sent a free copy of The New Southwest, but all opinions are my own. SW cooking rocks my boat! Drat, I have too many favorite dishes to pick just one… just like favorite cookbooks. Winning a copy of TNS would be a treat, but your posts have convinced me I NEED to purchase a copy and cook my way through the recipes. Mexican is my favorite..thanks for the recipe..I am pinning. I am so fortunate to have the best Latin/Mexican market 10 minutes from me..of all places Florida! Thanks. I hope to win! ??????? The giveaway has ended Vickie, sorry! But I hope you try this sauce, especially if you have such a great market nearby. We have lots of them here in LA, too. And I agree, tamles are sooooo good. So it has. Haha. Oh well. I will make it. I pinned the recipe. I will put the cookbook on my list to purchase too. Thanks for the information on the cookbook and the recipe too. I’d love to try this, though I’d try to leave the flour out. Many thanks. I am new to the green chilli, and her sister the red chili. We seem to be addicted to it. We would love a cookbook to try the yummy things in it. Thank you for doing a cookbook. We love all enchiladas . I love chile verde, especially made with Hatch chilies! I just bought a whole new bag of hatch chiles at the farmers market, and I’m having fun figuring out what to do next! Does mole count? And anything with guacamole, of course. I’ve had a string of New Mexico chilies hanging in my house from a road trip to the southwest, and this sauce would be great with Carne Adovada! Your sauce looks great! I’ll have to try it too. Chicken tortilla soup or cheese enchiladas! Yum! Since we are planning to move to the SW in the near future, this would be a great welcome. Homemade chips and salsa! Love thin and crispy tortilla chips. Any kind of taco on a corn tortilla with avocado! I make some delicious veggie patties with black beans, corn and onion, among other ingredients. Then i lightly fry them in a bit of olive oil until crispy on the edges and cooked thru and serve them on a toasted onion roll with some melted Monterey Jack on them and some pineapple salsa. My favorite of all time is probably chiles rellenos. Yum. But I can’t eat those any more! I do love enchiladas, too. I just made a huge batch from scratch, just like yours, for a Halloween party. But my sauce always turns out MUCH darker even though I use the same chiles. I wonder why? The sauce freezes beautifully, and so do pans of the enchiladas. Great to have on hand. 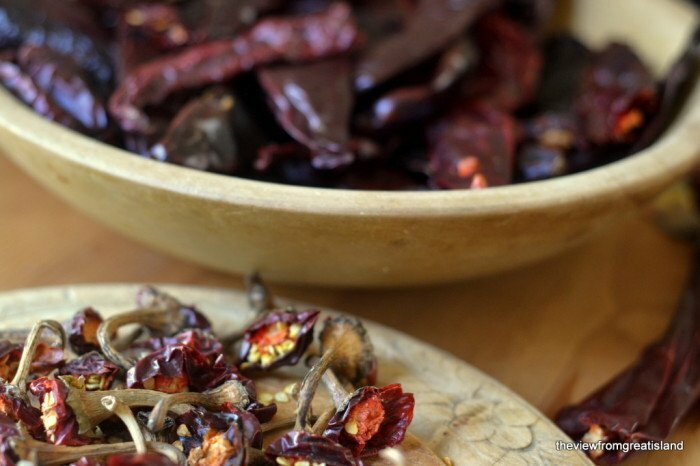 I was really surprised by the bright red, myself, since the dried chiles are very dark. Mine turned brighter red after they were cooked in the water. Enchiladas have always been my favorite Mexican dish. I’m going to try this one this week! Thanks for the lovely postings and pictures. Keep up the good work. Sometimes I just have a real craving for good enchilidas. This sauce recipe sounds awesome. Red chili chicken enchiladas, with fresh sopapillas and flan for dessert! My daughter and I made tamales a couple weeks ago, SO good! I make a pretty mean pozole as well. Can’t wait to make this! My favorite are chile rellenos with real green chiles. So so good! I love enchiladas, and this book looks fabulous! For me, it is cheese enchiladas sprinkled with chopped white onion. That way the red or green chile is the star. And i love both! I love anything with chili sauce-especially breakfast dishes. Fish tacos Baja style! Thanks for the great recipes and beautiful photos, I am always looking forward to your next post! Can’t wait to try this sauce! Thanks. Having travelled to Arizona & New Mexico I have come to appreciate their LOVE of Chiles – Red and/or Green – with Hatch Chiles being one of the main staples in Southwest cuisine. I love the mix of cultures – Indigenous Pueblo, Spanish, & Cowboy – that influence SW Cooking; it’s hearty, homey, complete comfort food at it’s simplest & finest. Definitely food that warms the heart & soul…not to mention leaves this Californian craving more! Whatever you do, please don’t ask me to choose Red or Green because I’ll always say CHRISTMAS! Some may think I’m a glutton for punishment because you never know how hot the Chile is going to be until you eat it. Oh drat! Now I’m craving a sopapilla stuffed with Chile Verde, Jack Cheese, lettuce/tomato for lunch LOL! My very favorite recipe from your site is the Green Tabasco Martini, followed closely by your Chile Verde with Chicken. I took the martini a step further by infusing vodka with cucumbers. Yummy. Wow Phyllis, I’m going to have to try that! I used 2-3 small unpeeled Armenian cucumbers from Trader Joes chopped in 1/4″ pieces. Put into a clean glass jar and added 1 750 bottle Ketel One vodka. Covered and put in a closet for 4 days. Strain back into original bottle, but save the pieces to use in the martini. You can use any vodka of choice. Thanks so much for that recipe and your entire site. Love it. The sauce looks absolutely amazing! and your photos so beautiful! Chile Rellano’s are my favorite. I can always go for enchiladas and am glad to see a red sauce that can be made in a larger batch to make popping a can open less likely to happen. That stuff is horrible. I have whirred tomatoes in a blender with other flavorings in lieu of the dreaded can but this stocked freezer approach is even quicker. Thanks for the book winning opportunity. It looks like this is much more “do-able” than I would have thought! Wondering if this is a spicy version of the sauce or not. and…. I love home made refried beans more than anything in the world! ext time. And no, this wasn’t spicy, but I think chiles vary in their amount of heat, even among ones of the same variety, so you never know for sure what you’re going to get. I used California chiles, which are supposed to be fairly moderate in heat. Migas! Although everything you have shown is fabulous. I love the versatility of this sauce, it would be wonderful on enchiladas! It is hard to choose one favorite. So….. my three favorites are enchiladas, fajitas and guacamole. I really enjoy your posts. Thank you! I love chimachangas, salsa, lots of cilantro on my food. 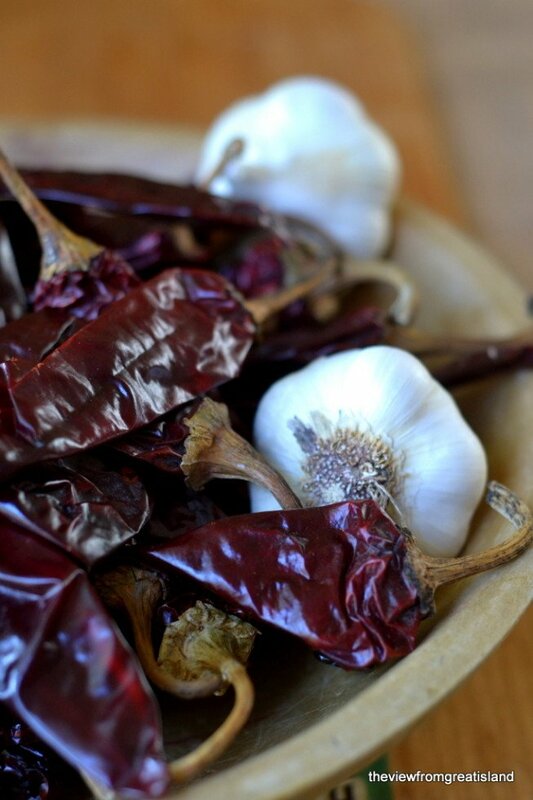 Love your red chile sauce – would also love the cookbook! Guacamole. Yum. I can eat it plain, on top of my enchiladas, in my burrito, with my chips. Muy bueno. Anything with Hatch chilies! I used to live near the 4 corners and the chili roasters would be outside the grocery store at this time of year. Loved the smell. I am making Chicken chili right now with Hatch chilies! Chile rellenos casserole is my favorite Southwest dish! And the cookbook sounds fantastic, thanks! It was super easy, Kelly, and much thicker and richer than the canned stuff. What a BEAUTIFUL post! I could drink that sauce. My favorite would be chorizo (homemade, of course) and eggs with fresh flour tortillas! 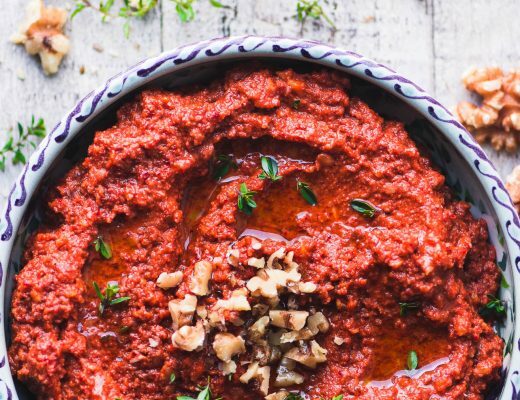 Oh man, I could use a few jars of that beautiful brick red sauce in my fridge! I’m so happy that you joined in The New Southwest Cookbook Spotlight, Sue :). My favorite southwestern dish is Choriza and Shrimp Quesadillas. Enchiladas. thanks for the recipe! What a beautiful, beautiful post, Sue! 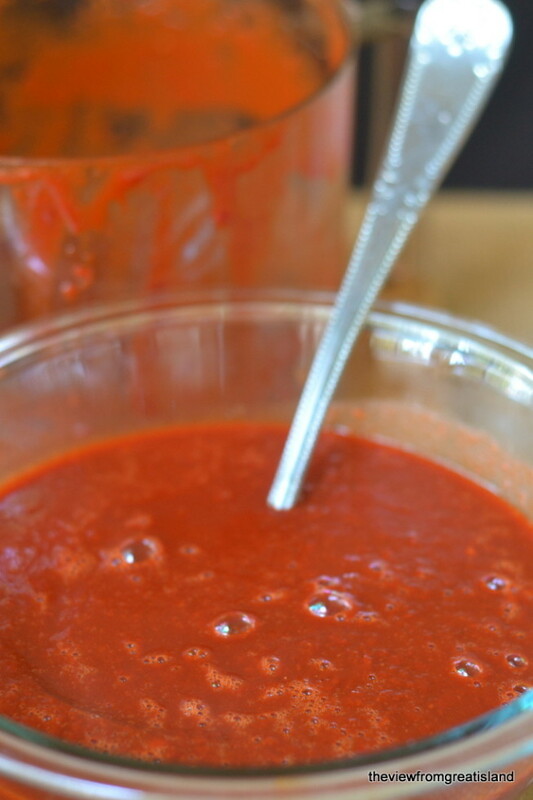 I am so thrilled that you chose to try this red chile sauce recipe – the flavor is one of my favorites and I love having it on hand, as you mentioned, to spice up meals of just about any variety. I am so thrilled that you enjoyed TNS, Sue, and was especially pleased to read your comments about the recipes being approachable. Thank you, thank you, thank you, Sue! I hope you continue to enjoy The New Southwest! The book looks great! I am pretty partial to enchiladas. And churros! I love enchiladas. I would love to win a copy of this cookbook! Pick me! I’m a huge fan of SW cookery. Last night my brother made a delicious green chili sauce which we had on chicken enchiladas. I love enchiladas for their saucy, cheesy goodness. That sauce looks terrific. I am really getting interested in this cookbook. I have read some about it.